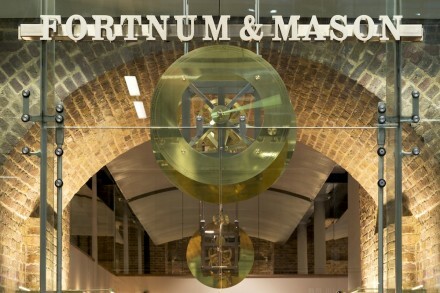 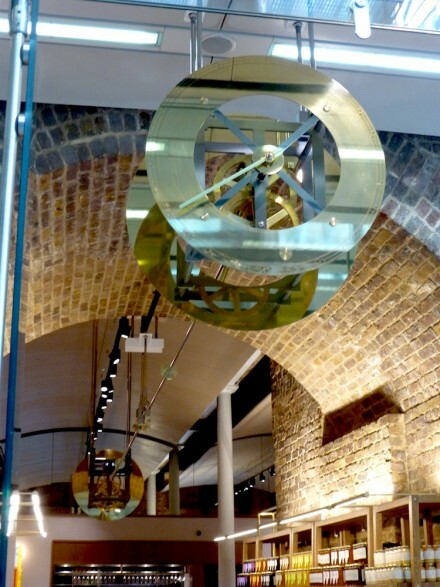 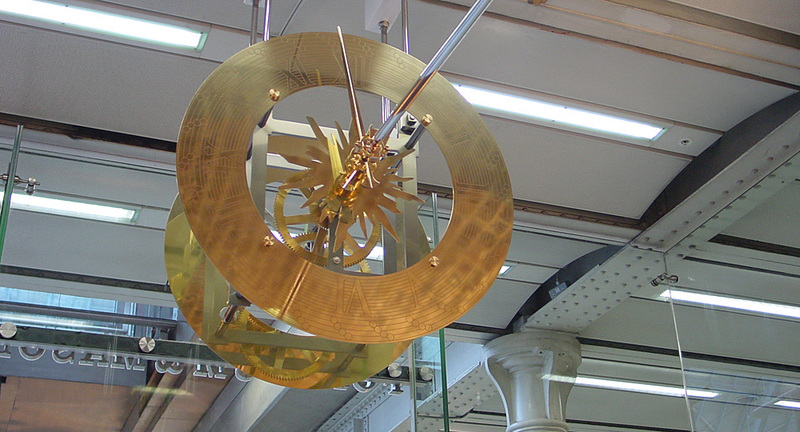 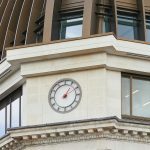 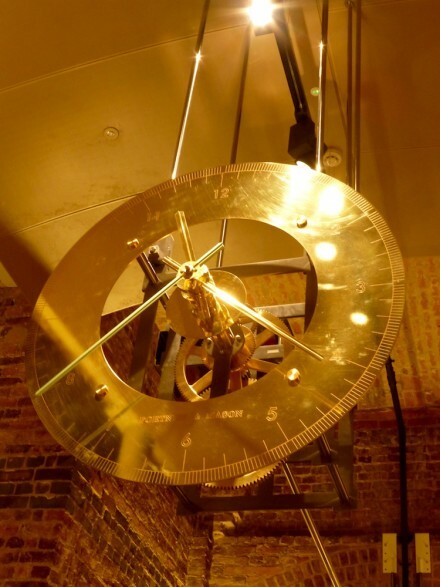 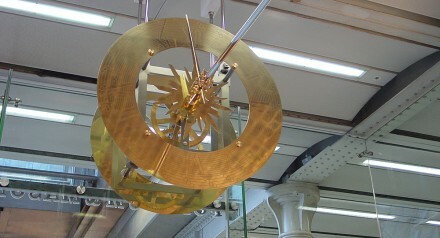 We were commissioned to design, build and install a unique piece of clock art in time for the opening of the Fortnum and Mason tea salon at St Pancras International Station in 2013. This was a significant cant moment for F&M, this being their first store, apart from their original location on London’s Piccadilly, which opened in 1707. 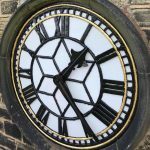 Inspired by late 18th and early 19th century mechanical clock movements, this handsome piece helps to create a calming sanctuary in the midst of a busy station. 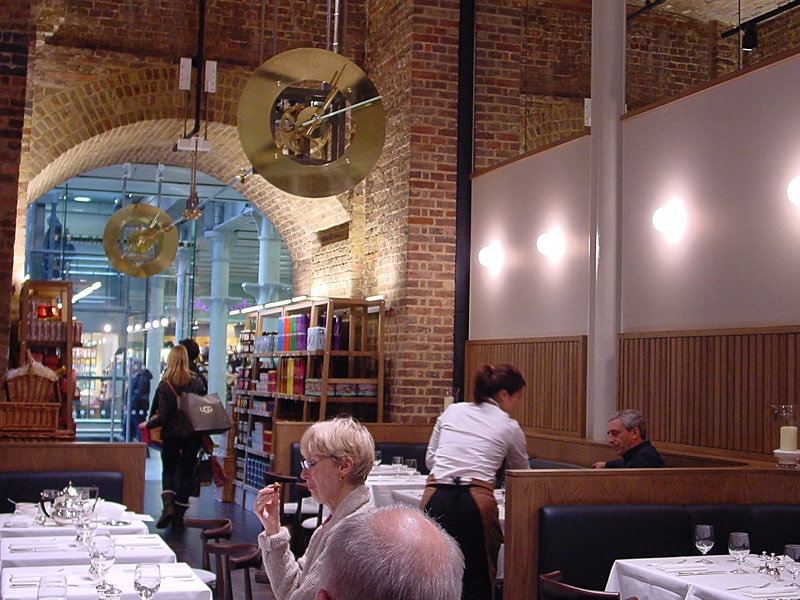 It plays a lighthearted game by making time appear to go backwards when viewed from the outside, but gives the correct time when seen from within the restaurant. Separated by a brick vaulted arch, the elements are linked by a stainless-steel drive shaft. 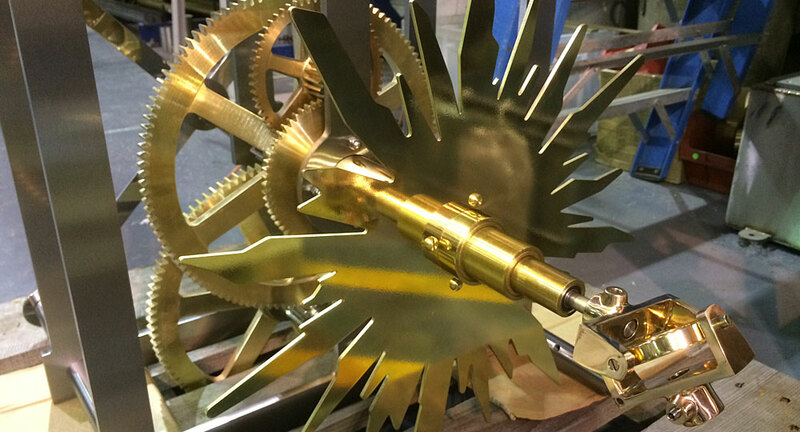 The dials are etched and polished brass. 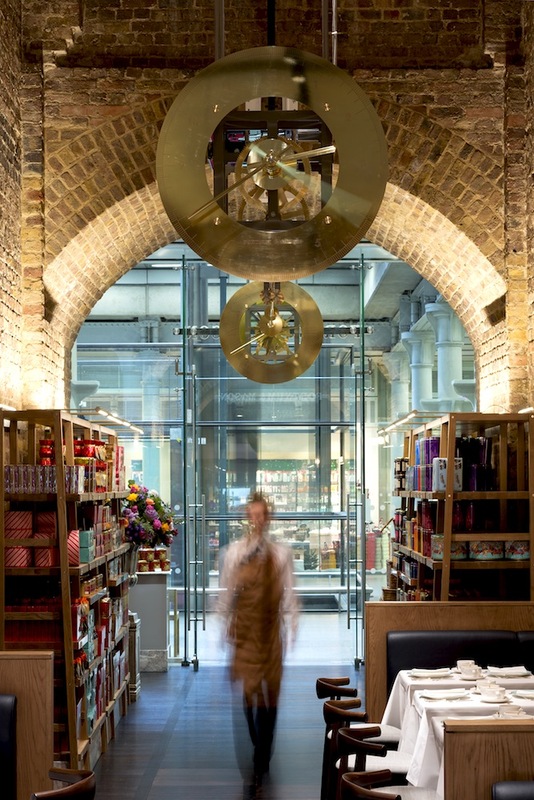 Built in our Derby workshop and installed on-site by our own team, this unique feature enables Fortnum’s customers to go back in time and relax, just a step away from the bustling concourse.